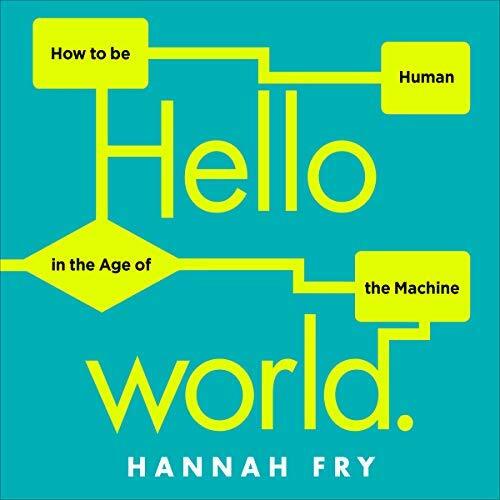 This week Radio 4 has chosen Hannah Fry’s new book Hello World as its Book of the Week. This means excerpts from the book are read out each day, and you can listen along on iPlayer Radio. To find out what the book’s like, read this review by Colin Beveridge. Three married couples want to cross a river in a boat that is capable of holding only two people at a time, with the constraint that no woman can be in the presence of another man unless her (jealous) husband is also present. How should they cross the river with the least amount of rowing? I’m planning to use this again next week. It’s a nice puzzle, good for exercises in problem-solving, particularly for Pólya’s “introduce suitable notation”. I wondered if there could be a better way to formulate the puzzle – one that isn’t so poorly stated in terms of gender equality and sexuality. 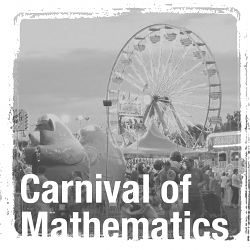 Welcome to the 131st edition of the Carnival of Mathematics, a monthly blogging carnival which scoots its way round the internet, rounding up maths-related blog posts from the month of January. At the Maths Jam conference, I was delighted to chair the first ever (and possibly only) edition of Spoof My Proof, a panel show devised by Colin Beveridge and Dave Gale as a special edition of their podcast Wrong, But Useful – the show that iTunes reviewer @twentythree calls an “unassuming, gentle and informative chat on mathematics”. 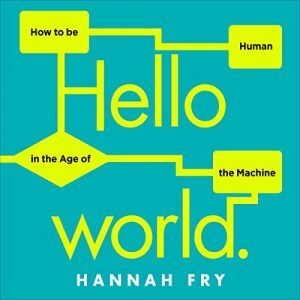 Yesterday, I was asked by Mariana Farinha for podcasts I would recommend to a college student of Mathematics. I assume this is college in the American sense, i.e. university. Though targetting an audience is usually a broad business, so with a suitable margin of error I replied with a few, retweeted the request and a few others replied. Here are the suggestions. What would you recommend? Leave a comment! You may recall that Samuel Hansen and I used to have a weekly conversation about mathematics in the news and news in mathematics, which we called the Math/Maths Podcast and released through the (still going!) science communication project Pulse-Project. When we put Math/Maths on hiatus (the length of which is still an open question), this left a gap in the lucrative ‘two blokes talking about maths-y stuff’ market. Leaping on the opportunity, plucky young podcasters Colin Beveridge and Dave Gale started Wrong, But Useful (as you may recall from a previous post here). Well, that was a year ago now and, as creatures whose outlook is tied to this planet, that is apparently worth celebrating. Through a careful constructed mock-feud, Colin and Dave reeled in first Samuel and then me to join them in an anniversary recording.